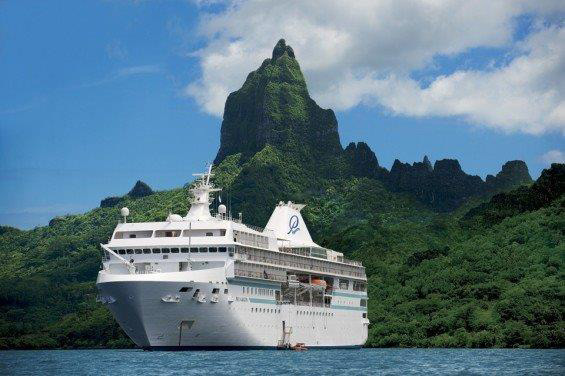 Luxury Tahiti Cruise Inspired by Artist Paul Gauguin – Perfect for Honeymooners! For your honeymoon, immerse yourself in the idyllic islands of French Polynesia aboard the award-winning luxury Tahiti cruise ship that calls these islands home. Explore the islands that inspired painter Paul Gauguin, on a luxury Tahiti cruise aboard the deluxe small ship that brings you up-close to this special paradise as no other vessel can. The perfect combination of the relaxing atmosphere of the islands coupled with Five Star service, comfort and luxury. Along the way, enjoy the world-class luxury service and attention to detail that make every cruise a masterpiece. Single open-seating dining with a choice of three restaurants – The food aboard our vessel may forever set the standard as the most sumptuous meals you ever tasted. We even cater to special requests, with delicious vegetarian and low-carb options available on request. 24-hour room service – A special 24-hour room service menu is available. During normal dining hours, you may also order from L’Etoile Restaurant and enjoy dinner in your suite. Complimentary watersports from our retractable onboard marina – The ship’s small footprint enables it to navigate lagoons that larger ships would never dare to enter. And our retractable, on board Watersports Marina brings you down to sea level, where you can hop aboard a windsurfer, launch a kayak, or embark on our Zodiac® for optional diving adventures.